Our Story — YOUNG & DEAD CO.
Young & Dead Clothing was created in a small town near Toronto, Ontario, Canada. The brand is independenlty owned and operated by a couple who inspires each other to chase their dreams. RAN BY OUR TEAM OF TWO. The company was born in 2013 and inspired by an addiction to band tees, and feeling at odds with the world or just sick of everything. The name Young & Dead is not defined as lifeless. As a brand we define death as staying in one place for too long, it's the cost of not following your heart. 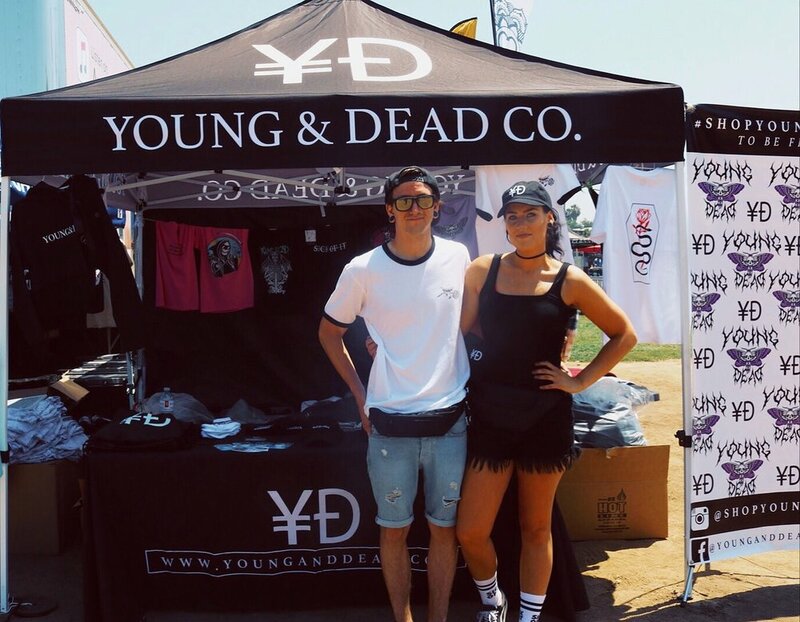 Young & Dead is evolving, but we're still focused on creating a product for the cynical. We hope our brand inspires others to live for this life, not the next. Discover who you are and what you want! THANK YOU TO THOSE WHO SUPPORT OUR BRAND! WE HOPE TO INSPIRE ANY DEAD ENDS AHEAD.